SUMMARY: At 16, Hazel Grace Lancaster, a three-year stage IV–cancer survivor, is clinically depressed. 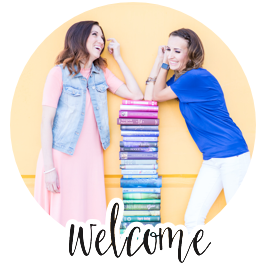 To help her deal with this, her doctor sends her to a weekly support group where she meets Augustus Waters, a fellow cancer survivor, and the two fall in love. Both kids are preternaturally intelligent, and Hazel is fascinated with a novel about cancer called An Imperial Affliction. Most particularly, she longs to know what happened to its characters after an ambiguous ending. To find out, the enterprising Augustus makes it possible for them to travel to Amsterdam, where Imperial’s author, an expatriate American, lives. OUR GROUP REVIEW: Brittanie presented us with a fabulous PowerPoint presentation (see it here) including a 10 question quiz, review of the main characters (Hazel and Augustus), photos of Amsterdam and the Anne Frank House, and great discussion questions. After eating our fabulous meal, we got down to business. Overall, the group loved the book, some even giving it a 5 star rating. We were glad to hear that it will be soon made into a movie (2014).We thought it was interesting that the author John Green worked as a chaplain at a children's hospital. John's experiences with patients and their families during intense crises solidified his desire to write for teens about the challenge of confronting loss. 1. Augustus inquires about Hazel's background and tells her, "Don't tell me you're one of those people who becomes their disease." In what ways do Augustus, Hazel and Isaac fight to keep cancer from defining who they are? How do they work to prevent it from consuming all aspects of them? They used sarcasm as a means to cope. They were veterans of disease - didn't want it to be who they were. 2. Why does Hazel feel so desperate to find out what happens beyond the ending of An Imperial Affliction? What does this indicate about her need for understanding about what comes "after"? She projects the book on her own life. 3. 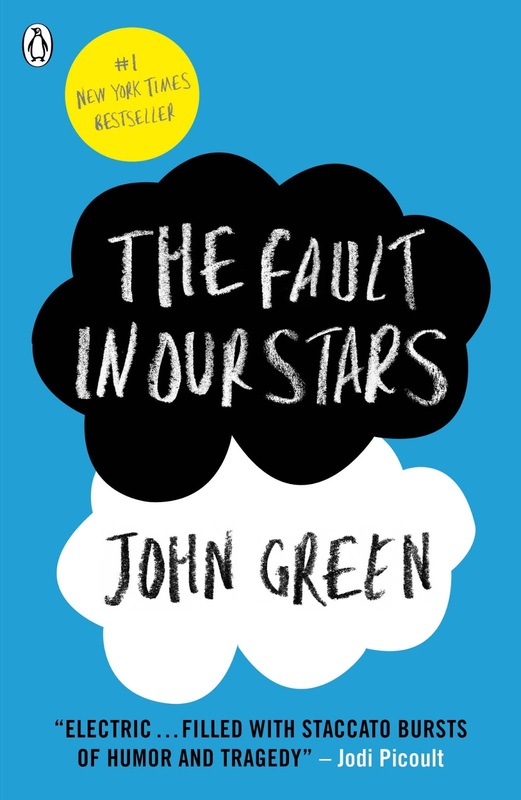 John Green derives his book's title from a famous line in Shakespeare's Julius Caesar: "The fault, dear Brutus, is not in our stars, but in ourselves, that we are underlings." What does the line mean, and why would Green have used it for his title? Even more important, why would he have altered it to read, "The fault in our stars" rather than ourselves? How does Green's meaning differ from Shakespeare's? We didn't choose to have cancer (some do). No one is immune, we can't blame, we just have to accept it . 4. What do you think about Peter Van Houten, the fictional author of An Imperial Affliction? John Green, has said that Van Houten is a "horrible, horrible person but I have an affection for him." Why might Green have said that? What do you think of Van Houten? He was like a cartoon character, not real person. He was kind of a weirdo. You felt pity once you found out about his daughter. He was the opposite of hazel/Augustus. Touched on the topic of parents splitting up when children die. 5. What do you think of Hazel's idea of being a "grenade"? Do you think it's better of her to not involve herself more so to incur less casualties? It's crazy to think that they are all just kids and have to face this. We liked this metaphor, but felt bad for Hazel. Even though they are so young, Gus stuck by Caroline (his past girlfriend) through her bad attitude and behavioral changes the tumor caused her. Some people can't face grenades - We all loved the egging of Isaac's girlfriends car. (Side question: What about Augustus/Hazel making love in Amsterdam? 6. What did you make of the book's humor? Is it appropriate...or inappropriate? Green has said he "didn't want to use humor to lighten the mood" or "to pull out the easy joke" when things got hard. But, he said, he likes to write about "clever kids, [and they] tend to be funny even when things are rough." Is his use of humor successful? How did it affect the way you read the book? I was our favorite part of book – refreshing. Humor can be a good way to handle it. We all got a kick out of the “literal heart of Jesus” therapy group - joking about Ball-less Patrick. 7. Why does Augustus write Hazel a eulogy before he dies? Why doesn't he present her with the ending of An Imperial Affliction instead? We write the end of our own story. He wanted her live her life in the now (not be worried about mom or dad). 8. Does Peter Van Houten actually care about Hazel and Augustus? Why do you think he feels the need to go to Gus's funeral at the end? He may be beyond feeling (he lost his daughter, gave up on life, used drinking to cope). He felt guilty. Even though we didn't like him, we were glad he came to funeral just to get closure. We were also happy Hazel didn't need the end of the story from him. 9. What does Hazel learn from her relationship with Augustus? Is it a deeper relationship than most teenage first loves, or does it just feel that way because they have such limited time? It was deeper than just a teenage crush. A “side effect of cancer” is growing up earlier. 10. Talk about how you experienced this book? Is it too sad, too tragic to contemplate? Or did you find it in some way uplifting? It helped me appreciate everyday. It was uplifting. We all will/have experienced cancer, death. The book helped take away the awkwardness of cancer. It was just a part of their life. We all want to live, love, feel normal. “There are infinite numbers between 0 and 1. There's .1 and .12 and .112 and an infinite collection of others. Of course, there is a bigger infinite set of numbers between 0 and 2, or between 0 and a million. Some infinities are bigger than other infinities. A writer we used to like taught us that. There are days, many of them, when I resent the size of my unbounded set. I want more numbers than I'm likely to get, and God, I want more numbers for Augustus Waters than he got. But, Gus, my love, I cannot tell you how thankful I am for our little infinity. I wouldn't trade it for the world. You gave me a forever within the numbered days, and I'm grateful. Interesting discussion questions. We read this book for our club too, and I think we generally all agreed that it was an awesome read, although some of us thought that Hazel and Augustus have been portrayed alittle too mature for their age, especially the way they talk. That topic up came up in our discussion as well and we decided that Hazel and Augustus were more mature because they had to be. Living with cancer at such a young age unfortunatly tends to make some kids grow up quicker than most. Or so we assumed. An amazing story, that doesn't come along often. If you haven't read this book already, you need to buy it. Right now. You absolutely CANNOT be disappointed. This book leaves you in fits of laughter and in tears. You remember the characters and think about them as if you knew them personally. Beautifully written. I couldn't agree more Mirza!